Woodend Winter Arts Festival - St Ambrose Ch. His Middle Eastern flavoured compositions push the boundaries of melody and metre in highly emotional music played with boundless energy – and interspersed with his more reflective, contemplative pieces. 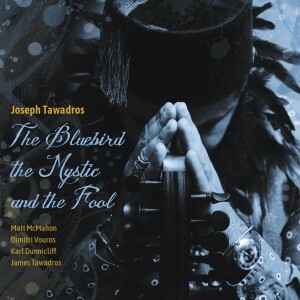 Joseph Tawadros AM is a 4-times ARIA award-winning master of the Oud, a Middle Eastern lute. He has released 14 albums and is the oud player on the Ali’s Wedding soundtrack. Joseph, 34, was born in Cairo, grew up in Sydney and lives in London. He also performs with his jazz quartet and with orchestras such as Australian Chamber Orcestra, the BBC Symphony Orchestra, Melbourne and Sydney Symphony Orchestras.